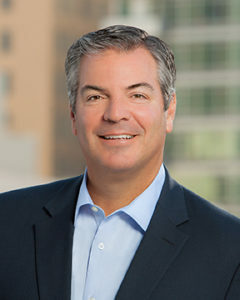 Patrick Casinelli received his degree in Business Administration from the University of San Diego, and has been involved with the life, health and benefits industry since 1989. He served as Employee Benefits Manager for both Lincoln National Life and New York Life. Patrick was a Regional Sales Manager for Humana, Inc. and CIGNA. Patrick joined Cavignac & Associates in September 2002 to establish an Employee Benefits Department. In 2007, he became a partner and currently works with clients to manage their employee benefit investment and overall risk management. Born and raised in nearby Leucadia, California, Patrick currently resides in Encinitas with his wife and three children. He sits on the Board of the Carlsbad Boys and Girls Club, and is a member of the Carlsbad Hi-Noon Rotary Club, Knights of Columbus and the Elks Lodge of Encinitas. In his leisure time, Patrick enjoys coaching football at La Costa Canyon High School, golfing, reading, running, and spending time with his family.